Win the Latest Plantronics USB Computer Headset from Headsets Direct! Enter to win the Blackwire C435 USB computer headset from Headsets Direct. It’s the latest Plantronics Computer Headset! – MSRP $99.95! Click here to enter – Contest ends January 9th, 2012! 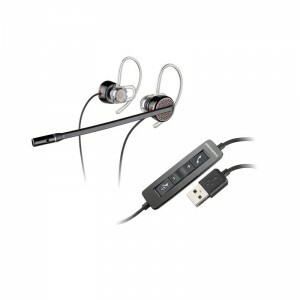 The Plantronics C435 USB computer headset provides a choice of monaural or binaural (Stereo) audio options and wearing styles, a durable protective carrying case and superior audio quality. The new Plantronics C435 has the perfect balance of style, flexibility and sound. Free standard shipping within the United States is included. Headsets Direct employees and families are not eligible to win.